Open U.P. (Unbeaten Path) literally opens up a new range of cycling possibilities. Truly versatile, U.P. blurs the edges between road and mountain, with its modern geometry and huge tire clearance. 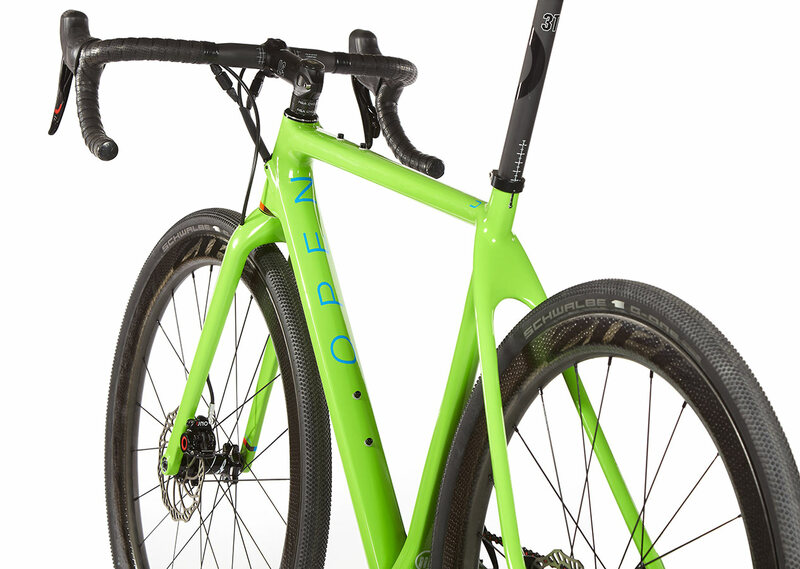 OPEN is a proudly small, Swiss based manufacturer, founded by Gerard Vroomen (former Cervelo founder and engineer) and Andy Kessler (former CEO of BMC). 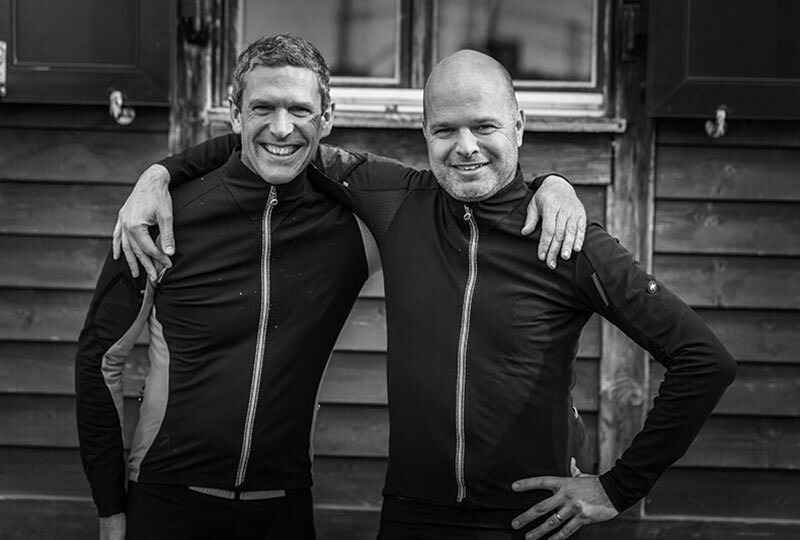 Vroomen and Kessler joined forces to create the bikes they wanted to ride, a small range of very well crafted bikes that bridge the gap between road and mountain. 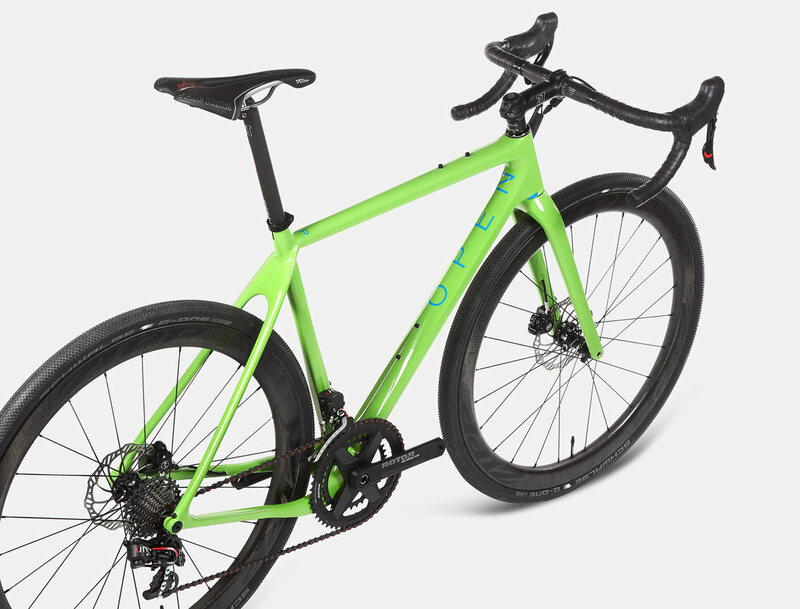 The perfect modern day bicycle, U.P is a light and stiff carbon fiber frame, with fork specifically designed to accommodate a wide range of tires from road through to MTB. Depending on how you spec your U.P., it can take you just about anywhere. With the right tire, OPEN U.P. can ride anywhere and over anything with confidence. 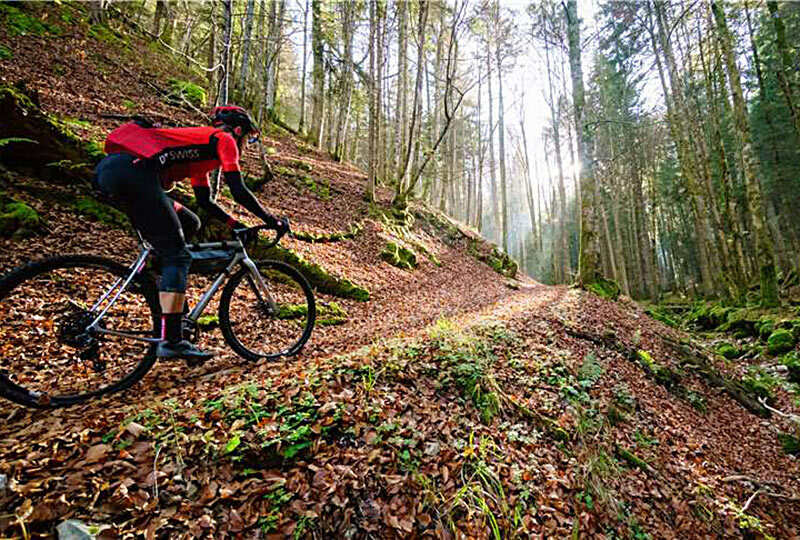 With 47mm 650B tires, you’ll have plenty of traction and stability for rough terrain. 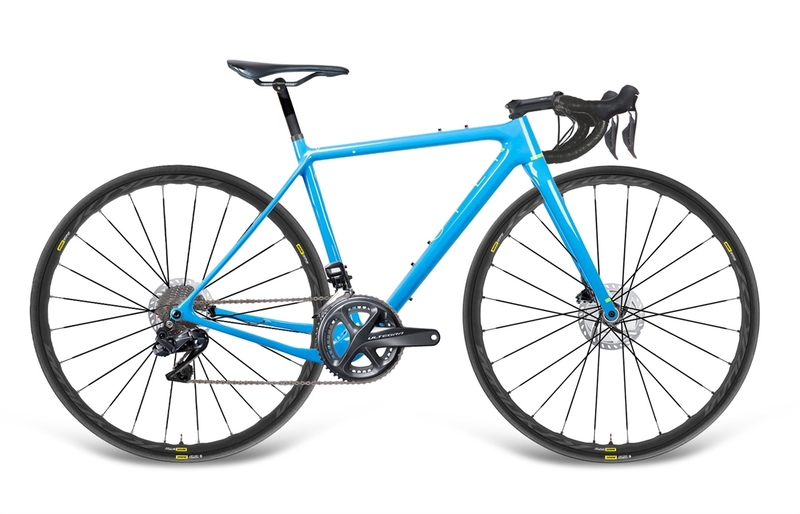 Geometry is similar to a cross bike, with shorter chainstays and a lower BB, and at 1040g, U.P. 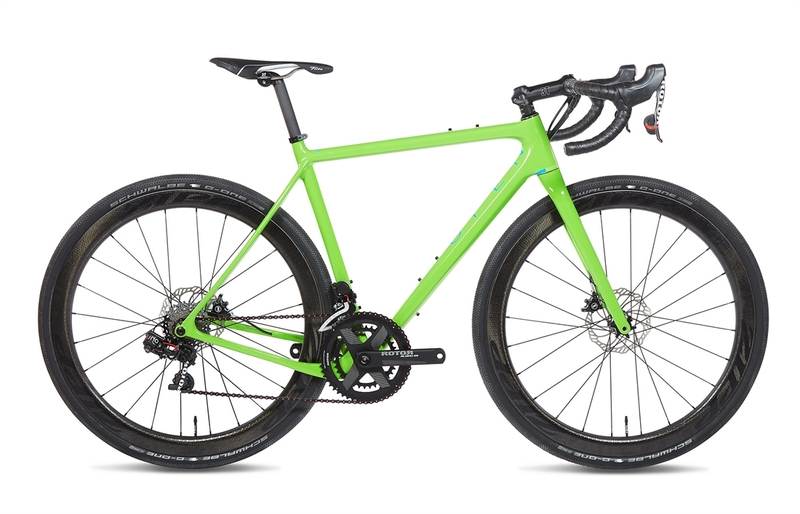 is very light for an off-road bike. While not a fully fledged road bike, U.P. more than holds its own in any group ride. 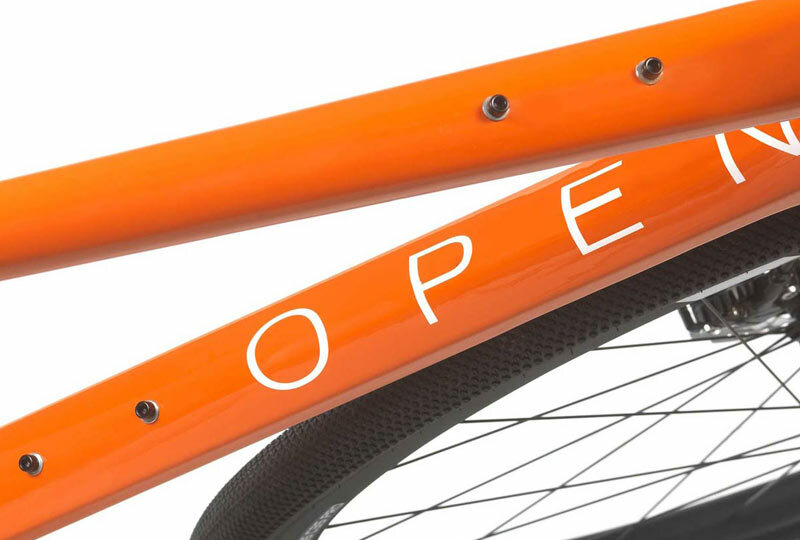 With a lightweight carbon frame and oversized BB and downtube, U.P. is fast, efficient and responsive. 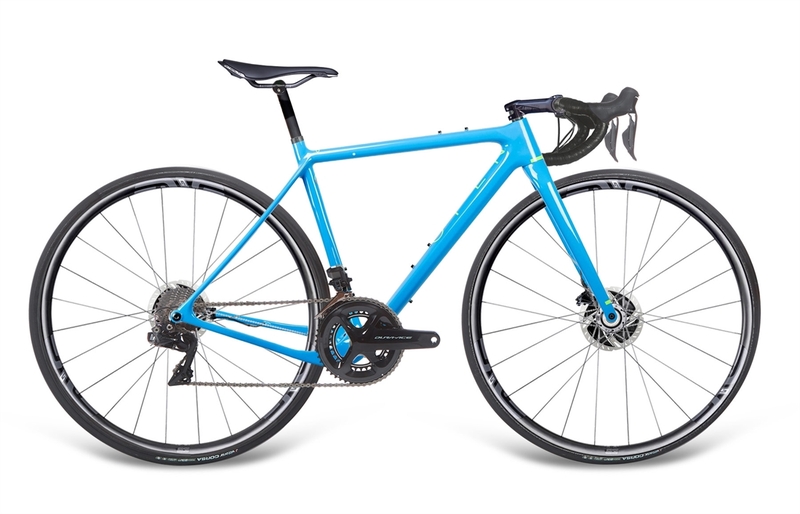 Paired with slick 28mm tires and disc brakes, you have long ride comfort, with powerful and precise braking in any conditions. Tire clearance doesn’t just let U.P. 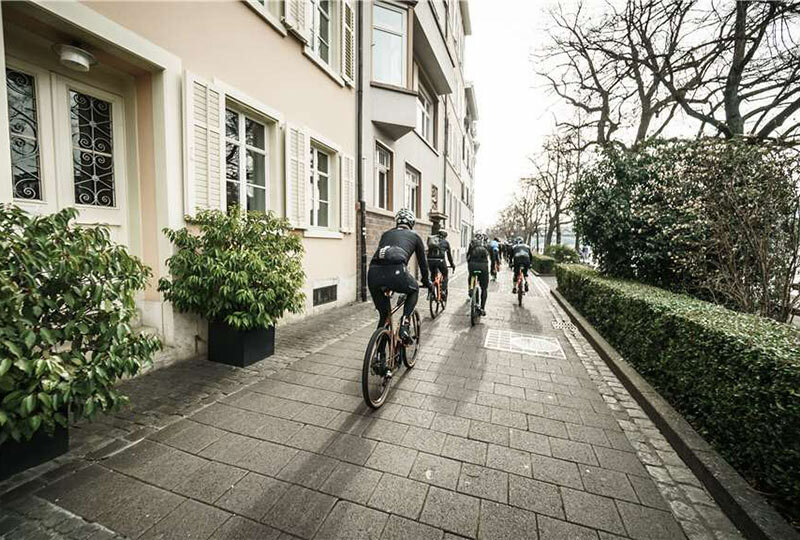 tackle varied terrain - tires play the biggest role in comfort, offering more compliance than any other part. Wider tires soak up bumps on the road, keeping riders feeling fresher for longer. Additionally, the super thin ‘Wire Stay’ seat and chain stays provide vertical compliance without sacrificing rigidity and responsiveness. 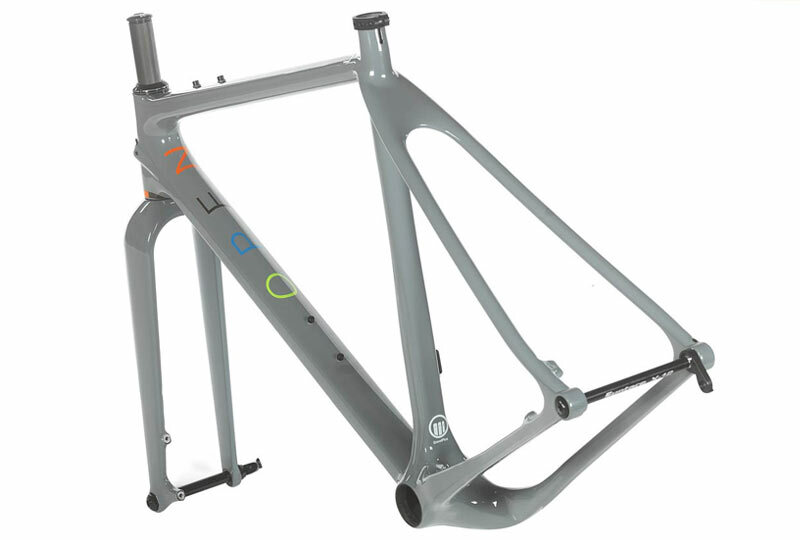 The lightest and stiffest carbon is not always the best. Different areas of the frame have different needs, so OPEN use a combination of carbons, strategically selected and placed to meet the demands of each area. Stiffer carbon is more brittle, so it is not used where the bike takes big impacts. 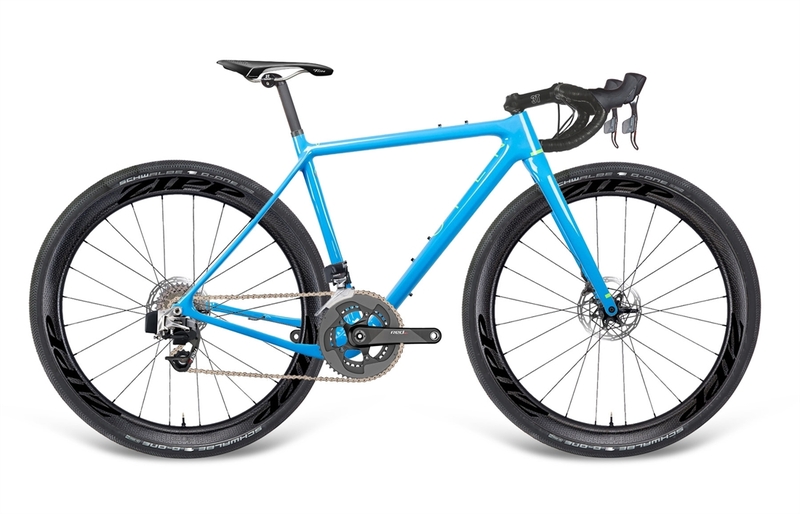 The downtube is the key for stiffness, so this is where ultra-high modulus fibers combine with a flat-back design to give stiffness where it matters most. OPEN’s main goal with the U.P. was to lighten the overall frame weight. To do this, they borrowed the U-Turn fork from the OPEN U.P.P.E.R. 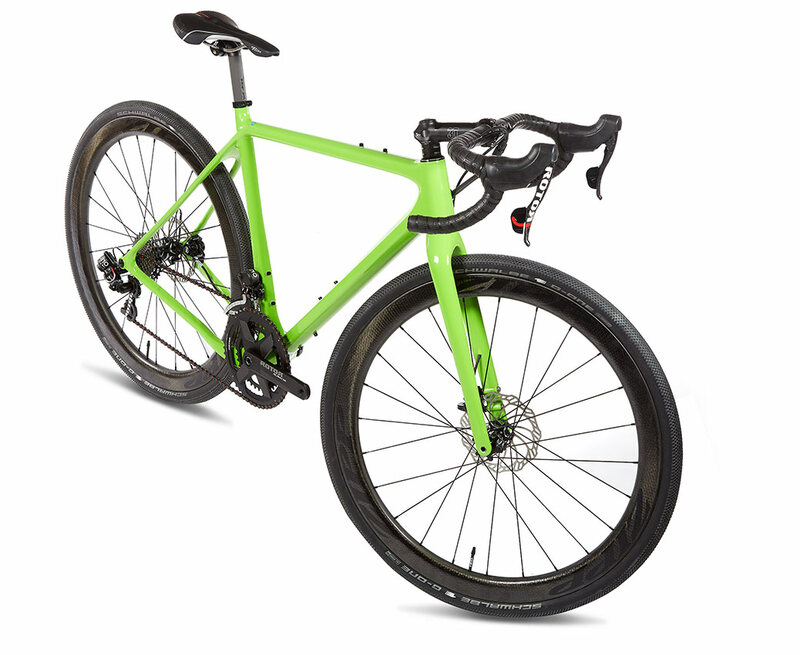 - by far the lightest fork on the market that accepts gravel+ tires. 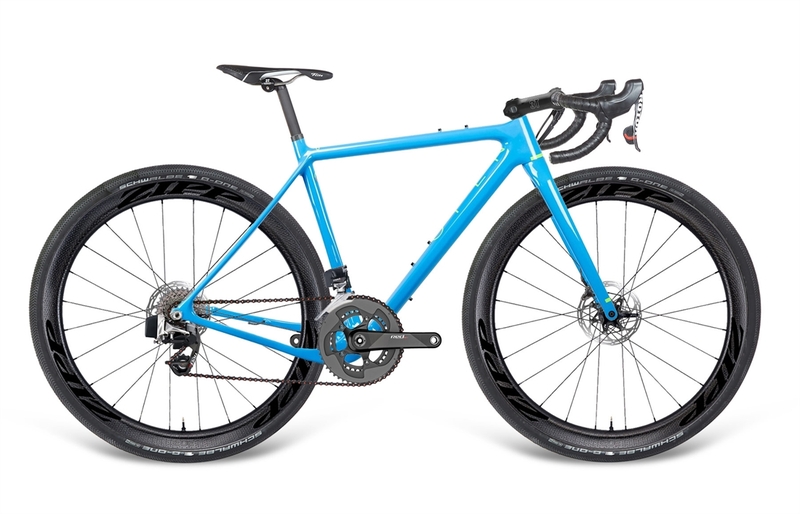 U-Turn takes flat-mount disc brakes along with a 12mm thru axle, adding rigidity and saving 70g.